A federal judge dismissed a wrongful death lawsuit against a Bradley County Sheriff’s Office deputy and the department that stemmed from an incident in July 2015. Judge Curtis Collier found that the deputies actions were reasonable when the deputy says she came home for a lunch break around 2 a.m. and found a man in her driveway. He attacked her and eventually she was forced to shoot him. The family filed suit against the deputy, the Sheriff, and Bradley County. The state of Tennessee defines this type of death as being caused by injuries received from another individual or by a wrongful omission or act of killing by another. A wrongful death is a special kind of personal injury claim in which the injured person isn’t able to bring their own claim to court. The claim instead, passes to a representative of the deceased person or certain family members. Tennessee allows the claim to be filed in court even when a homicide charge has already been filed because it is different from the criminal charge. Wrongful death claims are considered to be civil claims and liability is expressed in terms of monetary damages and criminal charges may be penalized by imprisonment and other types of punishment. Loss of income during the period where the injury occurred and the death of the family member. Loss of enjoyment of life during this period. Mental anguish suffered by the deceased person as a result of the fatal illness or injury. Lost wages the deceased person would have earned if they had lived. Mental and physical suffering, necessary expenses, and loss of time incurred by the deceased person’s family that resulted from the death. Loss of the deceased person’s society, companionship, and love. If the next of kin for the deceased person is a minor, the compensation received may be placed in a trust for when the child reaches a certain age, typically 18 or 21. 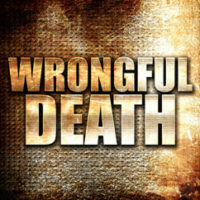 The state of Tennessee requires that wrongful death cases be filed with the court within one year of the date of death of the victim. If it fails to be filed in this time, it won’t be allowed in court and the family will lose the chance to seek compensation and damages. There are certain factors that can affect this one-year statute of limitations and an attorney experienced in wrongful death personal injury cases may be able to help you preserve the compensation you deserve for the loss of your loved one. The Nashville attorneys at Calhoun Law have the knowledge and experience to discuss your situation with you and advise you of all your legal options. Contact us today for a consult.